A medieval/renaissance city filled with history and beauty and lively people, Verona should be on every tourist-to-Italy’s bucket list. Wander through one square after another, finding marvels everywhere. 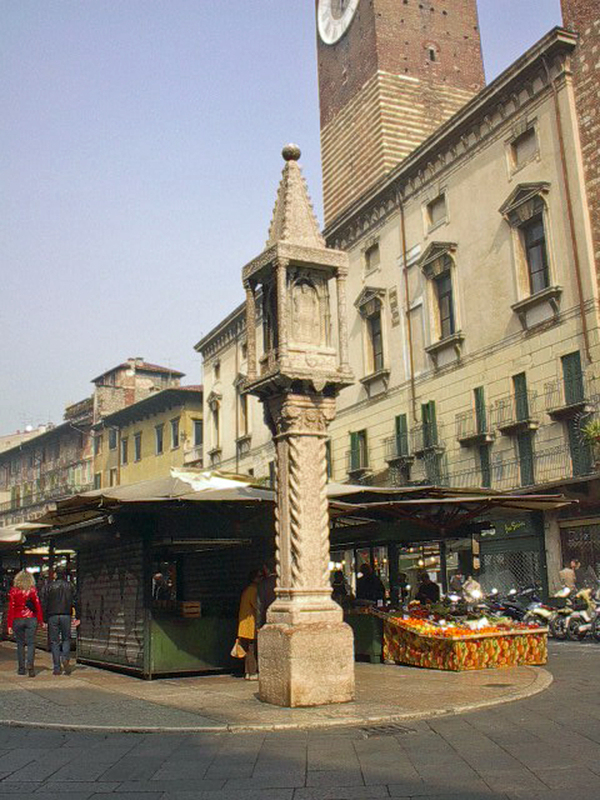 The market place has fulfilled that role for 2000 years, and has a Roman statue in the middle in a fountain to prove it. The square where the court has been held for hundreds of years is next, with a magnificent stairway of carved pink marble. Go through an opening in the wall, and come into a beautiful square surrounded by renaissance palaces. Here stands Dante, pondering the scene all around him. The building in the background is considered to be one of the most perfect renaissance structures in Europe. 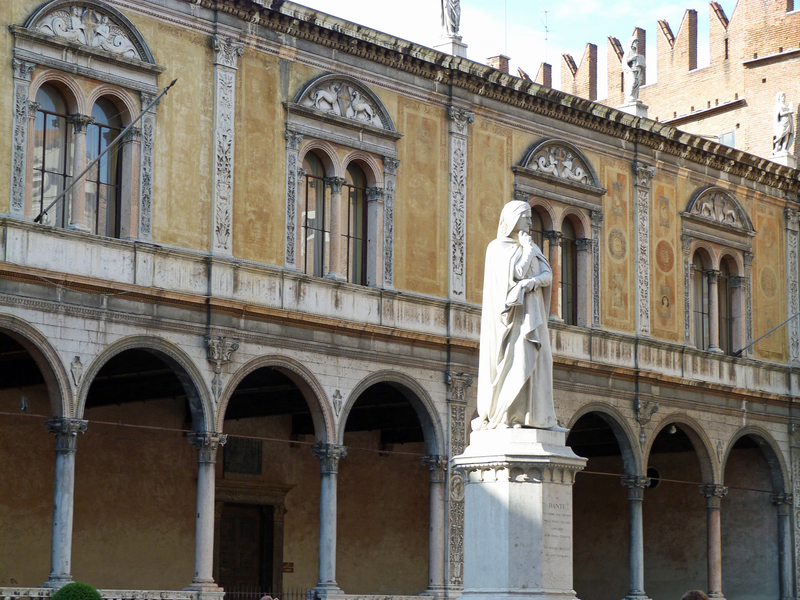 A statue of Dante, the Italian writer/philosopher, stands proudly in the center of the square. I envy the people who live in Verona. 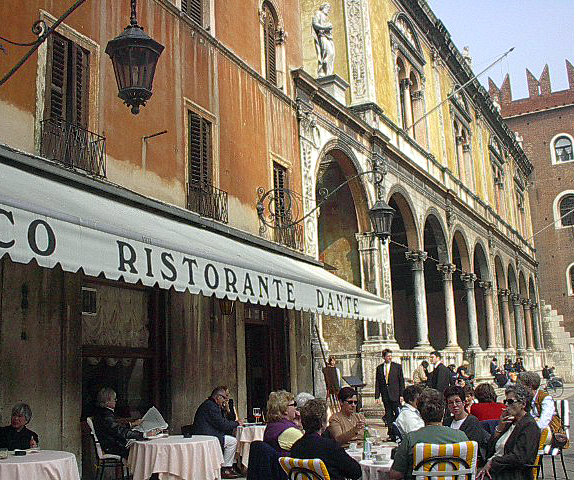 My favorite restaurant in Italy, Ristorante Dante, is in that square. On a good day you can sit for hours, enjoying fine wine, delicious food, the beauty of the surroundings and delighting in people-watching. Lovely Juliet, standing and waiting for the return of Romeo. 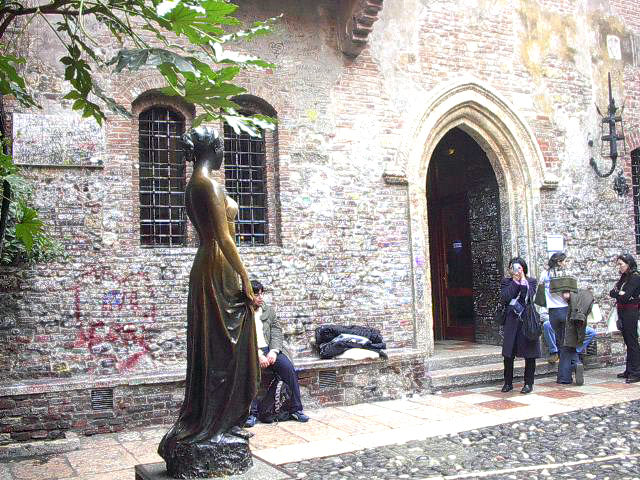 A popular place with tourists is “Juliet’s House.” Shakespeare’s Romeo & Juliet are supposed to have lived in Verona. 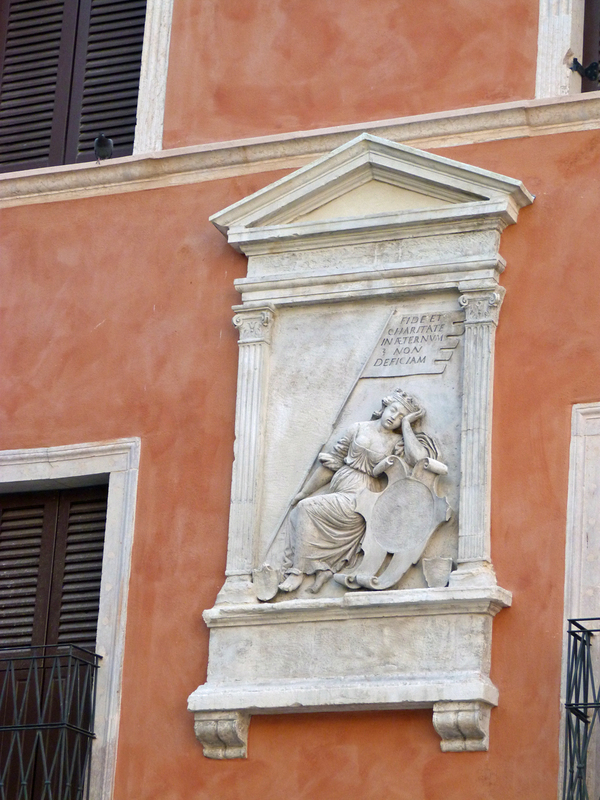 It’s a small stone house completely covered in graffiti, the old fashioned kind with names written in a heart “4-ever.” A lovely “Juliet” sculpture stands near the entrance. 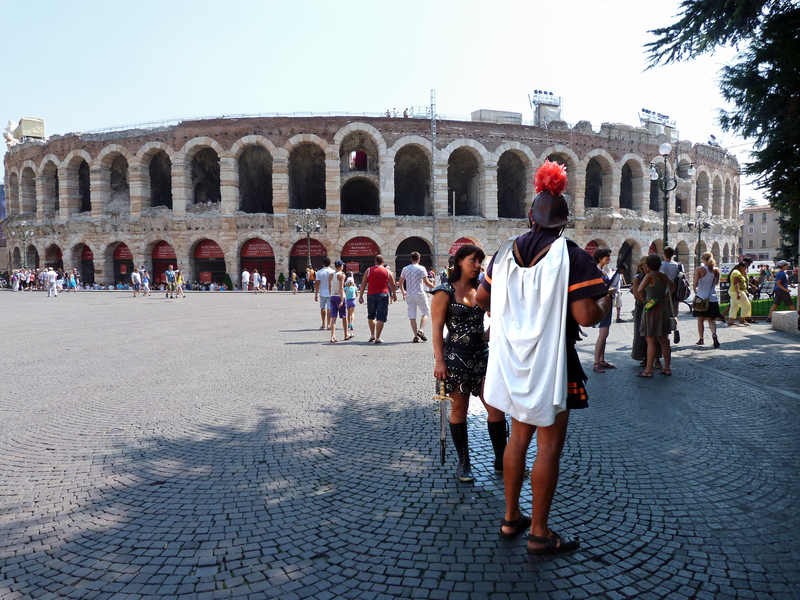 We found a gladiator outside the Verona coliseum. Verona has an intact Roman coliseum. In summer a series of some of the best-loved operas are performed there: LaTraviata, Aida, La Boheme, Romeo & Juliet among them. The coliseum seems to be the centerpiece of the city. A wide street lined on one side with sidewalk cafés runs along one side of it and a park filled with greenery is on another. 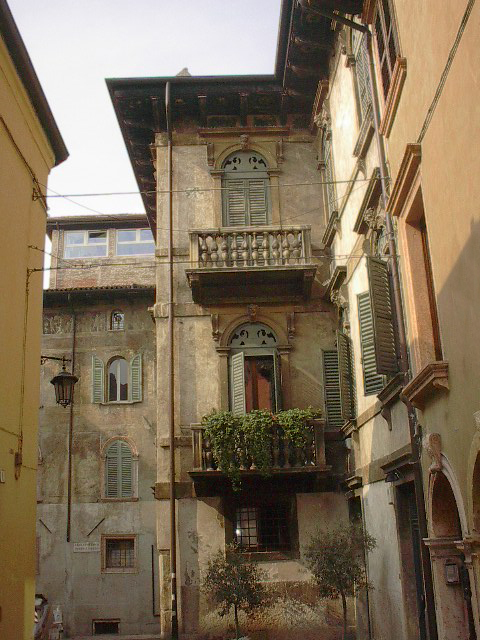 A perfect example of the residences found in central Verona. 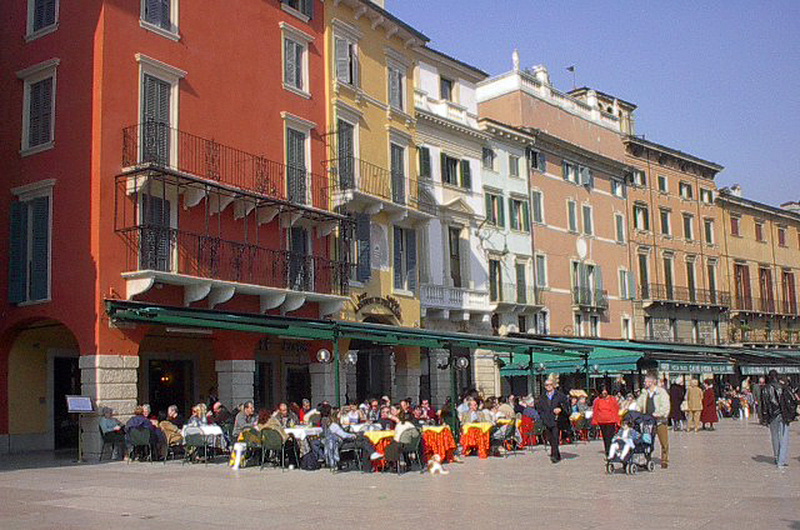 The city streets of Verona are lined with upscale shops and lovely old buildings. It’s all spotlessly clean with pots of flowers everywhere. The entire city flaunts its age proudly! Memorial to a tired tourist! 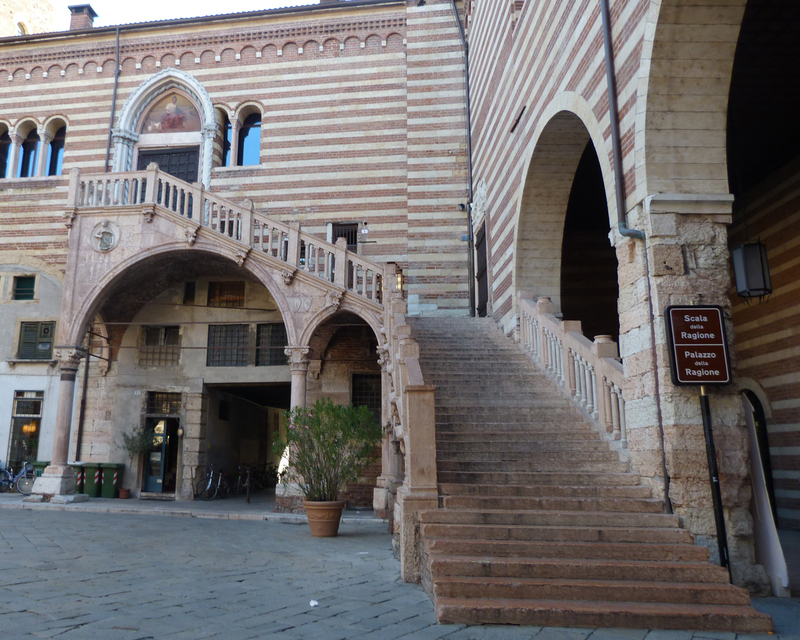 This entry was posted in Italy and tagged Verona by Libbie Griffin. Bookmark the permalink.